Despite what a lot of people may think, vegetarianism and veganism are not one and the same. Even though there are specific similarities between them like the exclusion of meat and meat products, one is a lifestyle whereas the other is a type of diet, respectively. Nowadays, as the number of people going vegan or adopting a vegetarian diet is on the rise, others are wondering what are the advantages and disadvantages and whether a vegan lifestyle or a vegetarian nutrition is a good call for them too or not. With this in mind, this article focuses on finding out if plant-based diets are as beneficial as promoted or are simply a fad. Following a plant-based diet means that your nutrition is comprised of veggies, fruits, whole grains, nuts, legumes, and seeds, but the intake of animal products is minimal or absent. According to Live Kindly, statistics from 2017 shows that the demand for vegan food and vegetarian food increased by astonishing 987 percent. What is common for both vegans and vegetarians is that they do not consume meat and meat products. As seen on Diffen, vegetarianism is a type of diet without consumption of animal flesh, including poultry, game, slaughter-by, and sea animals. What is important to mention is that there are a number of vegetarian diet variations, that is, Lacto-Ovo vegetarianism (dairy and eggs are allowed), Lacto vegetarianism (dairy is allowed, but eggs are avoided) and ovo vegetarianism (eggs are allowed, but dairy is avoided). Regarding their lifestyle, that is, whether they wear or use products from animals or not, is a decision that often stems from the main reason why one has adopted this diet, i.e. ethical, health-related or environmental. On the other hand, veganism is a philosophy and an empathetic lifestyle and its followers keep out of using animals for food, but neither for clothing or any other purposes. When it comes to their diet, they do not eat meat and meat products, eggs, milk, poultry, honey or any other animal-derived foods. Vegans have a specific way of life too; they never use products from animals, such as wool, leather, and fur or consume medicines, cosmetics, and household products tested on animals or containing some kind of animal product and are openly against animal testing. The staples of a vegan diet are veggies, fruits, and nuts and tofu is often consumed as a replacement for meat. The reasons for going veggie vary from person to person; some may decide to adopt a vegetarian diet because they have an aversion to meat whereas others may become vegans because of compassion for all animals. But, according to Peta and Business Insider, there are plenty of other reasons why people choose a vegetarian diet or a vegan lifestyle. Some of the major ones are weight loss, slimmer figure, better overall health, delicious food, food safety, cleaner planet, saving water, lower carbon footprint, etc. Additionally, in some religions like Hinduism and Jainism, vegetarianism is highly encouraged. Cancer prevention- as this diet is low in saturated fat and abundant in fiber, the number of anti-cancerous phytochemicals is, therefore, higher in vegetarians and studies were done in Germany and England indicate that in them, the chance for cancer is 40 percent less than in meat eaters. Balanced blood pressure- a vegetarian diet was found to minimize the blood pressure within a two-week period; this is because veggies and fruits contain potassium, known to lower the blood pressure and also because of the reduction in the blood’s thickness. Lower risk of kidney stones and gallstones- following a diet high in animal protein elevates the secretion of calcium, uric acid, and oxalate, the three major elements in urinary stones; what’s more, the risk of gallstones in those who consume meat is double than in vegetarians, as noted on Physicians Committee. Prevention of heart disease- according to studies, a diet lavish in fiber and low on fat in combination with regular exercising and stress management may reverse the hardening of arteries, known as atherosclerosis. Decreased risk of cancer- this is a result of the higher intake of fruits, veggies, and legumes. Healthy bones- a lot of foods present on a vegan’s menu (kale, spinach, peas, turnip greens, soy, etc.) are abundant in calcium, potassium, and magnesium that play a crucial role in building strong bones and teeth. Healthy heart– due to the low intake of calories, vegans have a more suitable BMI and consequently, a smaller amount of bad cholesterol and a low blood pressure. The decrease in asthma symptoms- as pointed out by a Swedish study from 1985, a vegan diet minimized the need for meds and the occurrence of attacks. Certainly, choosing to go vegetarian or vegan has a number of health, environmental, ethical, and many other positive benefits. However, as pointed out by Jamie Oliver, by removing a certain group of foods from our diet, the risk of missing out specific micronutrients elevates. A vegetarian or a vegan diet, which is free of meat (and animal products), increases the chance of protein, calcium, vitamin D and B12, iron, omega-3 fatty acids, and zinc deficiency. Be that as it may, most of these essential nutrients can be obtained with a well-balanced vegetarian diet. Vitamin B12 is a major issue for vegans, especially for beginners, because it is primarily found in animal products while its amounts in plant sources are rather small (spirulina, tempeh, miso, etc.). But, there are stronger food sources of this pivotal vitamin that vegans can reach for, i.e. fortified soymilk, cereals, and nutritional yeast, as well as supplements. Some claim that the absence of meat can be problematic for the levels of protein, especially in growing children. 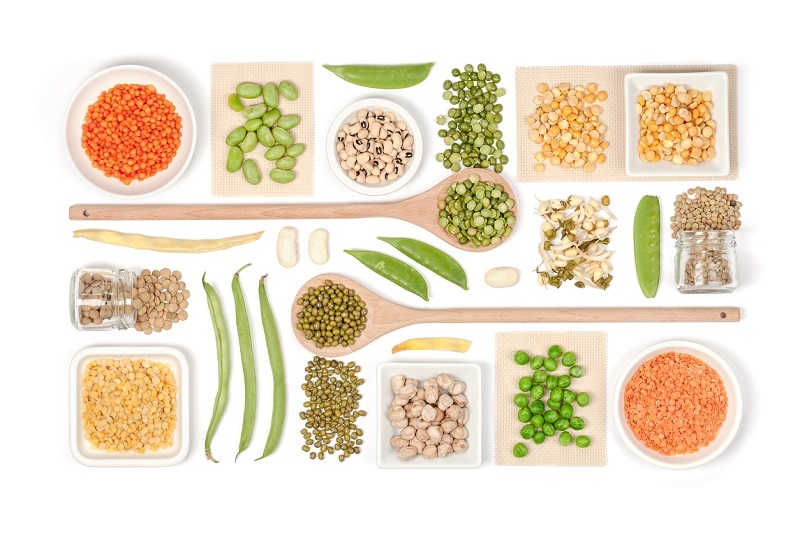 But, as noted on Physicians Committee, excessive amounts of protein are linked to certain health problems, but a balanced vegetarian diet comprised of sufficient beans, veggies, and whole grains can supply a stable amount of it, nothing less, nothing more. Without a doubt, vegetarianism and veganism are much more than just current trends and this has been scientifically backed up by a long list of scientific studies and research. This being said, going veggie, whether this is because you want to lose weight or to put an end to animal suffering and environmental pollution, can be an excellent idea. Of course, adopting this type of diet or a lifestyle requires detailed planning and a full dedication to a healthier way of eating, living, and thinking. Otherwise, “declaring” yourself as a vegan or a vegetarian without actually including the necessary whole foods, drinks, and supplements to satisfy the needed amount of nutrients for a healthy body and mind, you increase the risk of nutrient deficiencies and consequent health deterioration and other complications.